We just got back from a very successful inception workshop in Andasibe and a wonderful stay at the Mitsinjo forest station and Indri lodge. 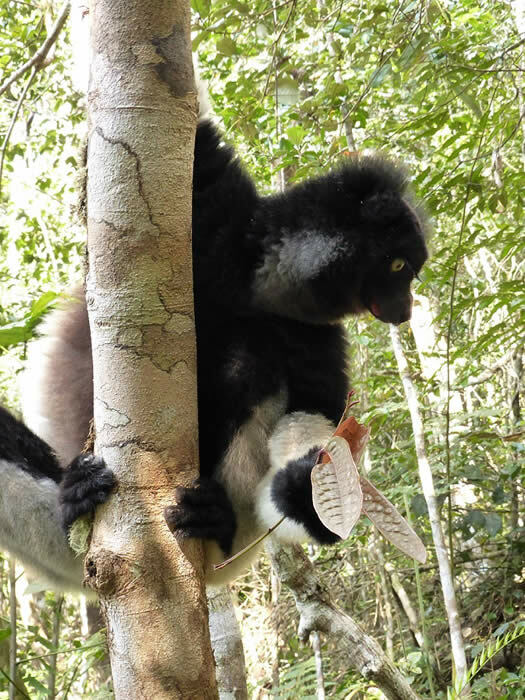 We were meeting outside Tana to minimize distractions from email and phone and instead were occasionally distracted by the common brown lemurs jumping in the trees behind us and the sound of the indri. Absolutely fantastic. And how amazing to see the indris up close and personal during one of the morning hikes as well. One of the aims of the workshop was to ensure that everyone understands each other’s research and how everything fits together. After all, as the Malagasy saying goes, ‘mitambatra vato, misarika fasika’ (together we are rock, alone just sand). We therefore started off with very interesting presentations on the proposed work of the individual work-packages and had very fruitful discussions on how the work-packages fit together afterwards. Another aim of the workshop was to get to know each other. It was very nice to finally see the people you have been emailing or skyping with for so long. In order to get to know each other more personally, Roma organized a round of speed-dating. We learned new things about each other’s life, and among other things what fruit people would like to be (bananas are popular). 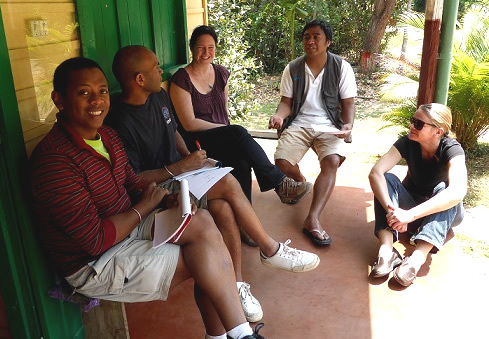 Later in the evening, I learned that Malagasy are fantastic singers (click to hear a sample of the p4ges team singing). 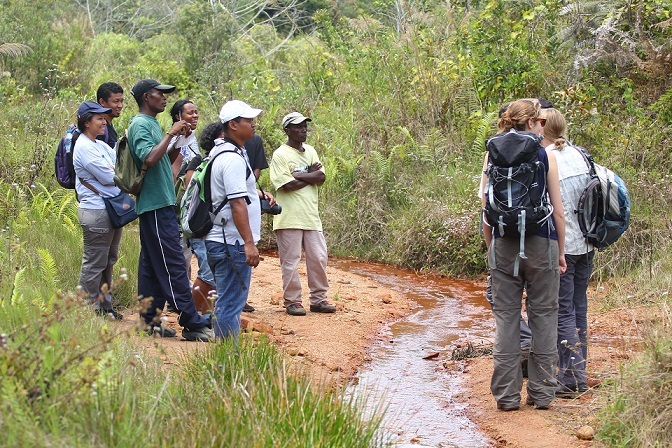 On the second day we split up in 3 groups and went on different fieldtrips in order to actually see the area where we will be working. This was a great opportunity to see the landscape and the villages, especially for people not familiar with CAZ (like me). On the final day of the workshop, we received more information about the permit application and were trained in research ethics by Patrick, Neal and Mahesh. The discussion of ethics scenarios was really eye opening. I can’t wait for the actual research to begin and to continue to interact and collaborate with all these wonderful people.